This is about who we are. 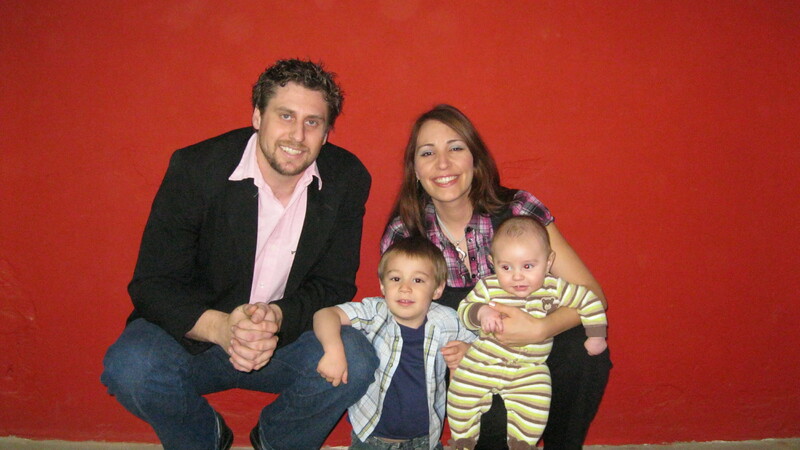 In 2007 we were sent out from City Harvest Church to pastor an abandoned church in the small town of Samuhu, Chaco. Chaco is the poorest province and Argentina and is scattered with hundreds of towns similar to Samuhu, where little or nothing is happening with the gospel. The Lord grew the work quickly from ten to about seventy people. In a two-year period we raised up a team of eight leaders and a new generation of young people on fire for Jesus. In 2009 we transitioned to Saenz Pena, Chaco, where we planted the base church for training and sending out church planters. Saenz Pena is a city of about 120,000 people and is perfectly situated in the heart of the province. From there we will be able to reach the many dead zones for the gospel in the province. Jessica is a native Argentine born on September 22, 1979. She grew up a half a block from her church, ´Rayos De Luz´in Resistencia, Chaco. She led the youth group for a number of years, taught the bible in the christian school, has done Youth With A Mission, and is a wonderful pastor to the people in Samuhu. Jessica also has a degree as an x-ray technician. Her favorite ice cream flavor is Lemon, and she loves pizza. Volleyball is her favorite sport, but she loves trying just about anything. She is extremely excited about being a mother. Anthony is a north westerner all the way, even though he grew up moving around the country with his pilot dad and the rest of the family. Anthony was born on October 3rd 1980 in New York. He has also done YWAM, been a young adults leader for a number of years, and loves the work the Lord has given him in Argentina. He is a graduate from the Multnomah School of the Bible´s Missionary Aviation Program. This gives him his pilots licences through the multi-engine commercial instrument ratings, his A&P aviation mechanics licence, and a 4-year degree in the bible. Growing up he loved basketball, baseball, and golf. His favorite foods are anything sweet, or anything with beef in it. He is also extremely excited about becoming a father.